Sun and clouds mixed. High 69F. Winds NNW at 5 to 10 mph..
A jury on Monday convicted a senior Democrat in the Pennsylvania House of Representatives on all but one of six charges in the latest corruption trial stemming from a five-year investigation into the use of taxpayers' resources for political purposes. Rep. Bill DeWeese was convicted of felony counts of conspiracy, conflict of interest and three counts of theft, while the Dauphin County jury acquitted him of one other theft count. The verdict, reached early on the third day of deliberations, struck a grave blow to the 35-year career of the former floor leader who also once served as House speaker. A woman seated with DeWeese's family cried out when the first guilty verdict was announced. DeWeese's lawyer vowed to appeal. DeWeese said he intended to keep his House seat - despite a constitutional provision interpreted to bar any felon from serving in public office - and continue his re-election campaign in his southwestern Pennsylvania district. "I certainly feel that I did nothing wrong," the 61-year-old DeWeese told reporters. "I believe that, in the court of public opinion, I shall be favorably received to some substantial degree. That's up to the voters, but I certainly will continue to run," the Greene County lawmaker said. Lead prosecutor Ken Brown said he was pleased by the verdict and that state sentencing guidelines recommend a sentence between nine and 16 months behind bars for each count. He said the conviction will cost DeWeese his House seat and state pension. "He's a convicted felon and convicted felons, once they're sentenced, can't sit in the General Assembly," said Brown, a senior deputy attorney general. "If he wants to spit in the face of the jury's verdict, I guess that's his prerogative." County President Judge Todd Hoover, the trial judge, set sentencing for April 24, which is also the date of Pennsylvania's primary election. Under House rules, if DeWeese does not resign by the time he is sentenced, a resolution calling for his expulsion will be drafted and put to a vote, according to Steve Miskin, a spokesman for the House speaker. Any House member may introduce a resolution to expel DeWeese prior to sentencing, but "we do not consider him convicted until sentencing," Miskin said. During seven days of testimony, prosecutors relied heavily on testimony by people who worked for DeWeese at his Capitol office in Harrisburg and his district office that campaign work was an integral part of their jobs. Those witnesses included DeWeese's former chief of staff, Mike Manzo, who testified against his ex-boss and is awaiting sentencing under a plea deal in which he pleaded guilty to reduced charges. Another key witness was Kevin Sidella, a former aide who handled DeWeese's political fundraising and was granted immunity from prosecution. DeWeese oversaw hundreds of caucus employees during his two decades as the House Democratic leader, but said he delegated responsibility for day-to-day operations to others, including Manzo and the then-No. 2 caucus leader, Democratic whip Mike Veon of Beaver County, who is serving a six- to 14-year prison term after being convicted in a related case. DeWeese said he advocated compliance with rules barring political activity on state time and realized only after the probe began in early 2007 that many employees were not filing required paperwork to show that their campaign activity was on their own time. More than 30 friends and supporters turned out to testify - some collectively - in his defense, and DeWeese himself testified for more than three hours. As he left the courthouse Monday, DeWeese suggested that his trial was unfair because it was held in the state capital instead of the hardscrabble, rural district he represents. He had unsuccessfully sought to have an out-of-county jury brought in to handle the case because of pre-trial publicity. "I think that a western Pennsylvania ... jury would have found me innocent," he said following the verdict. "I believe that Mr. Fina (Chief Deputy Attorney General Frank Fina, chief of the public corruption unit in the attorney general's office) wanted me tried by his peers, not by my own peers." Republican Tom Corbett launched the investigation while he was attorney general and directed it until he was sworn in as governor last year. Prior to his trial, DeWeese made no secret of his view that the investigation was a politically motivated move by "Corbett and his cronies," although DeWeese did not publicly criticize Corbett on Monday. Brown said complaints by several defendants that the investigation is politically motivated are unfair. "We've arrested and now convicted Democrats and Republicans. I don't see that there's anything partisan about that," Brown said. Eleven other Democrats and nine Republicans, including former House Speaker John Perzel, have been convicted or pleaded guilty in the investigation, while two defendants were acquitted and charges against another were dropped. The other defendant, former Rep. Stephen Stetler, D-York, is slated for trial later this year. HARRISBURG, Pa. (AP) - A once-powerful Democratic Pennsylvania lawmaker has been convicted on five of six corruption charges relating to allegations that he required taxpayer-paid staff members to work on his election campaigns as part of their jobs. Rep. Bill DeWeese was convicted Monday on three of four counts of theft and one each of conspiracy and conflict of interest. His lawyer vowed to appeal the verdict and DeWeese said he would seek re-election. The former Democratic House leader was one of the last to be charged among the 25 people connected to the House Democratic and Republican caucuses who were arrested in a 5-year-old state corruption investigation. The 61-year-old Greene County lawmaker was the only sitting legislator to go to trial. DeWeese had been a member of House Democratic leadership for two decades. 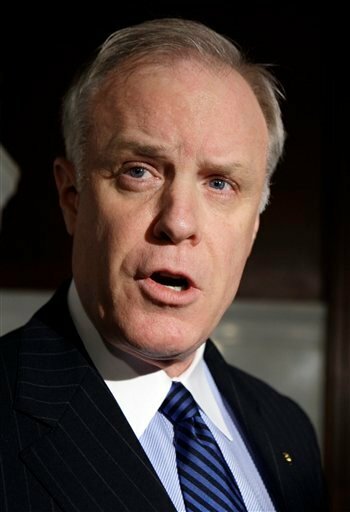 HARRISBURG, Pa. (AP) - Jurors have reached a verdict in the corruption trial of once-powerful Pennsylvania Rep. Bill DeWeese. The office of the Dauphin County President Judge Todd Hoover says the jury reached a verdict Monday morning. DeWeese is accused of illegally using legislative employees and other taxpayer-paid resources for political purposes between 2000 and 2006. The Greene County lawmaker faces charges of theft, conspiracy and conflict of interest. The seven-woman, five-man panel deliberated two days last week without reaching a verdict. DeWeese is a 35-year legislative veteran and the first sitting lawmaker to face trial as part of a five-year-old investigation by the state attorney general's office. It resulted in the arrests of 25 people connected to the House Republican and Democratic caucuses.